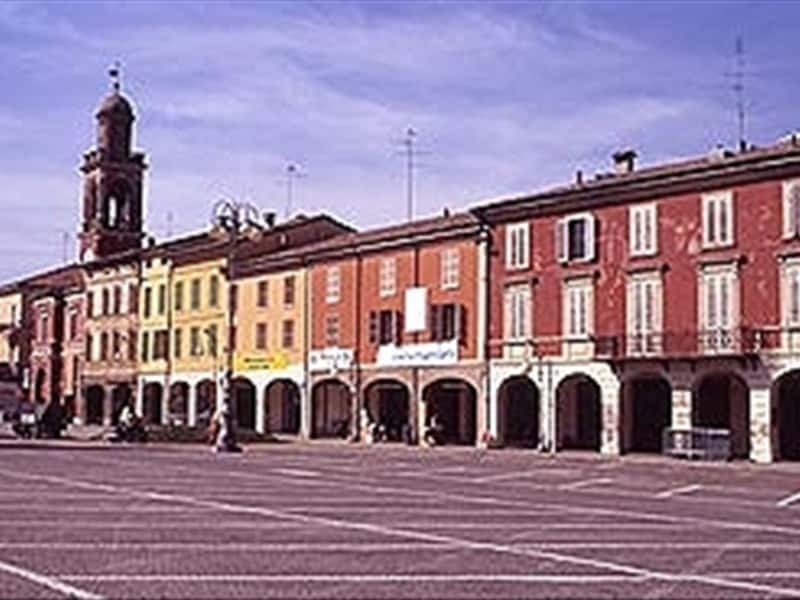 Town in the province of Ravenna, that thanks to the valuable archaeological finds unearthed in the boundaries of the municipality, it is possible to attest with absolute certainty that the area was inhabited since the VII century B.C. This presence is confirmed by some burial tombs dating from the same period, found under the walking surface of a Roman villa, that belonged to antique populations prior to the Etruscans. After the fall of Roman Empire and the Barbarian invasions, the area was gradually abandoned. In the Dark Ages it was the center of contention between Faenza and Ravenna and in the second half of the XIV century, Guido da Polenta, proceeded to build the "castrum Russi" and fortified the borders of the territory of Ravenna, to defend it against attacks by Manfredi of Faenza. Over the following centuries, the castle was subject of siege and destruction by the troops of Cesare Borgia, the forces of the League of Cambrai, of Gaston de Foix and the army of Charles of Bourbon, on his way to Rome. In 1568 the town returned under the control of Faenza, and, later, was ceded to the Papal State. In 1859 it was annexed to the Kingdom of Savoy. - Palazzo San Giacomo, one of the finest noble Summer residences in Emilia Romagna. It was built in the XVI century by the family Rasponi. The current name comes from a small family chapel, designed by Cosimo Morelli in the XVIII century. This town web page has been visited 16,025 times.